I drew this last week, have been having so much fun doodling! 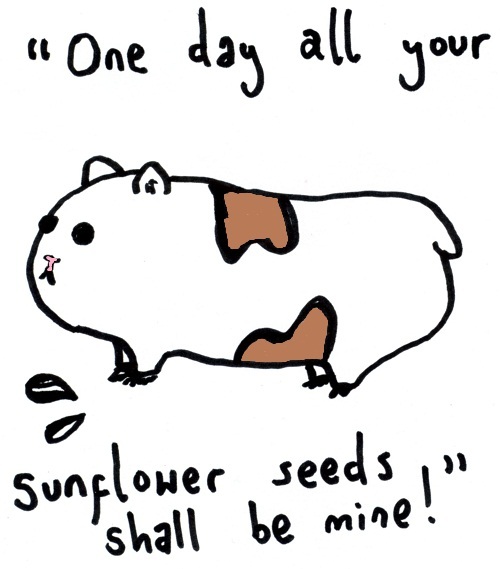 I partucularly like this Guinea Pig. 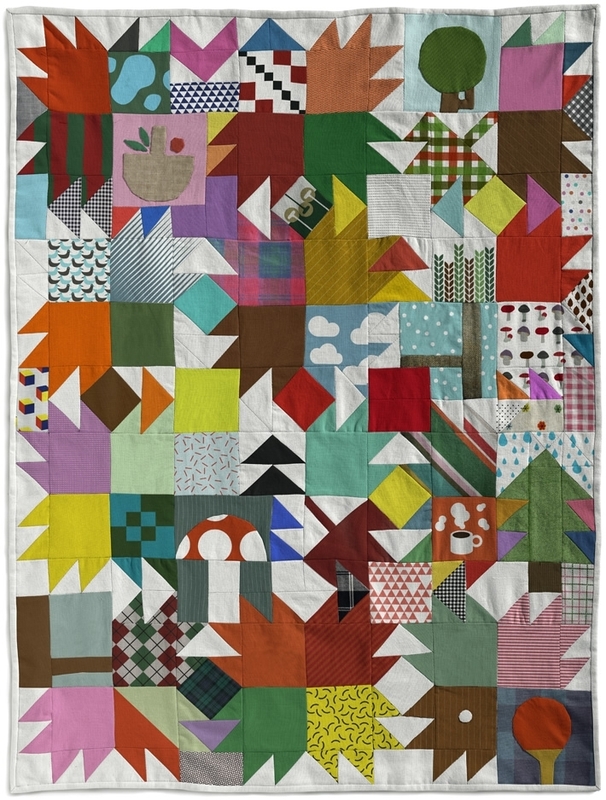 This quilt uses my fav fabric of the moment Sherbert Pips and is actually made by the lady who designed the fabric Aneela Hoey she has a beautiful blog called comfort stitching. Her next line for Moda called ‘Little Apples’ comes out soon and I cant wait! 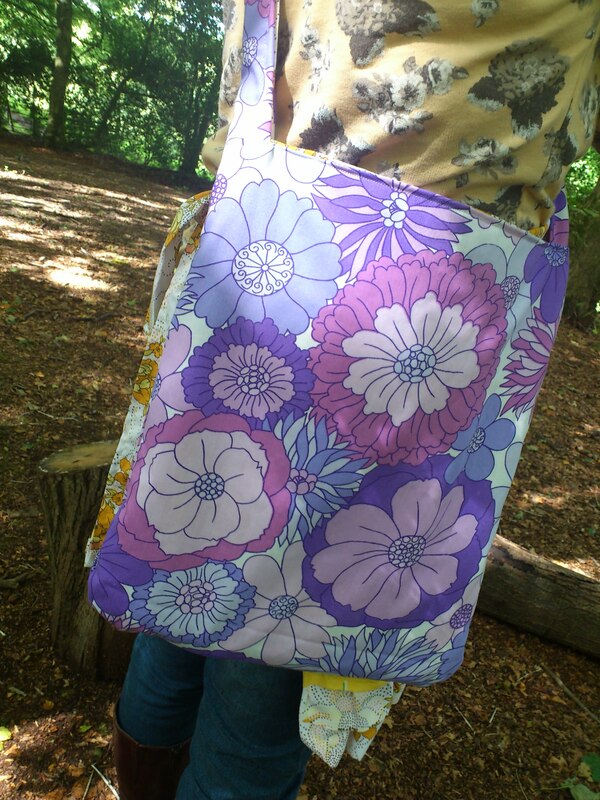 Liberty Rocks, fabrics inspired by musicians. Well, this is a great idea, I really want the Edwyn Collins bird print fabric to make a cami top. It has to be done! In 2005 Edwyn suffered a severe cerebral haemorrhage that he took six months to recover from. As part of his rehabilitation he drew a bird a day, each of which has been used by the Liberty Fabrics Team in this remarkable print. 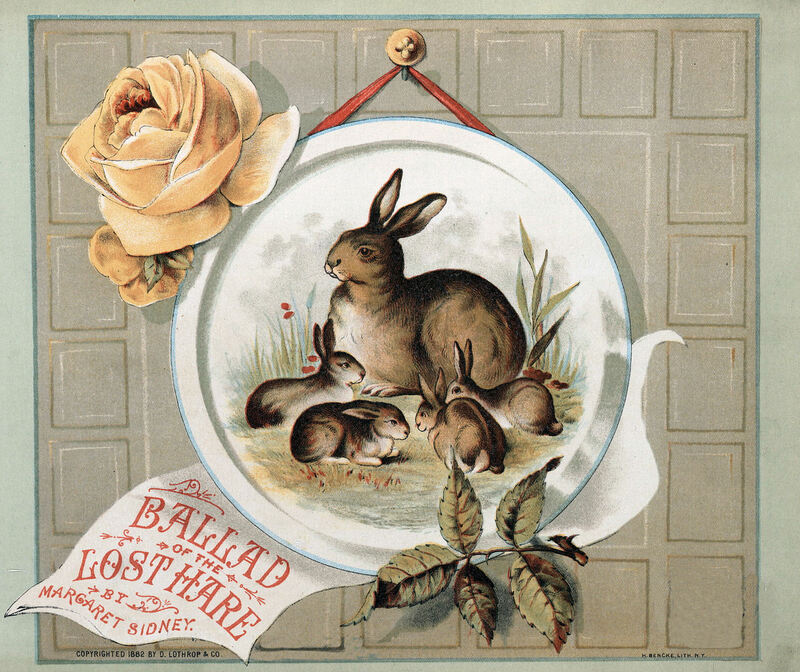 The design created pays homage to Collins’ dedication, like a sketchbook on fabric complete with names of birds and dates when they were drawn. Ornithology is from the Musicians With Links to the Art World fabrics collection, for which the Liberty design team collaborated with Florence Welch, Graham Coxon, Edwyn Collins and Emilia de Poret. Colette Patterns, get in the know. If you havent checked out Colette yet then get yourself over there because the patterns are stuff you want to make and wear. The blog is awesome and it has heaps of free tutorials, sew alongs and pretty images to get you inspired! Also they have just launched a great book. For some amazing apron action and a wonderful call to arms to make aprons check out Tie One On from the Angry Chicken. Also Olive juice and co is great inspiration for aprons check out the gallery. Make one, pass it on. 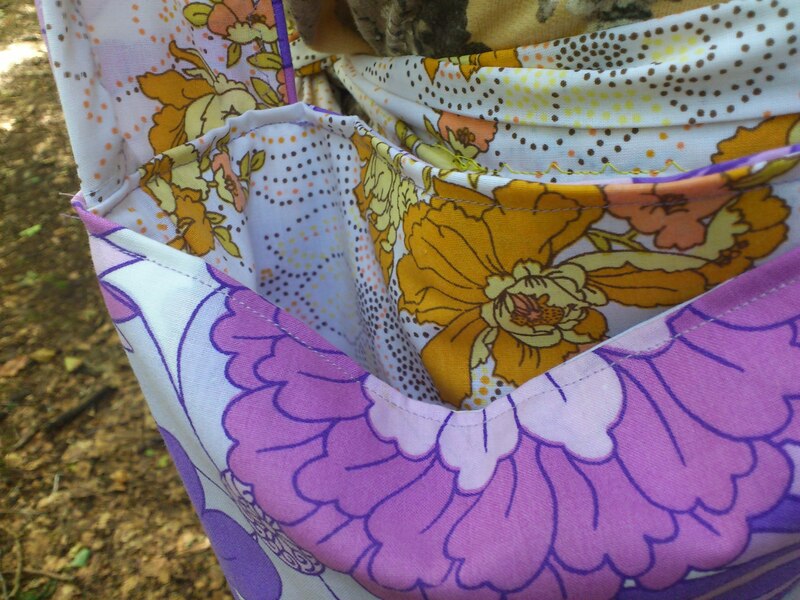 Every apron regardless of size, colour, workmanship and style will be sold for a flat fee of £10. 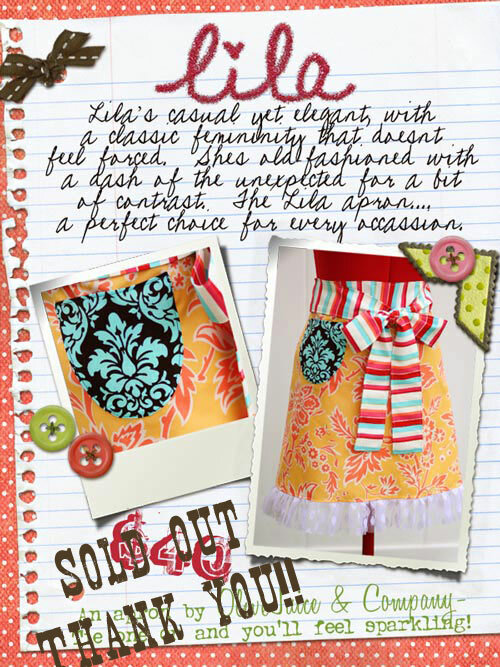 A special event will be held to sell the aprons and they will also be availible online too. They will make the perfect Christmas gift and will be doing good! All the money raised will be donated to charity that does an amazing job, Fine Cell Work. 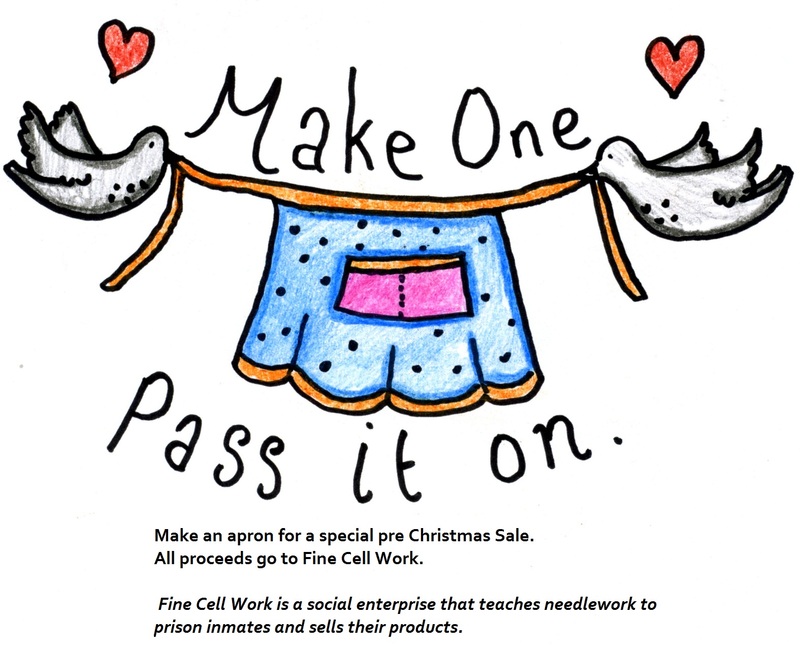 Fine Cell Work is a social enterprise that teaches needlework to prison inmates and sells their products. The prisoners do the work when they are locked in their cells, and the earnings give them hope, skills and independence. Our mission is to rehabilitate prisoners by giving them the opportunity to earn and save money and the chance to reflect on and rebuild their lives through craft and achievement. Prisoners do Fine Cell Work for an average of 3 years: the benefits can therefore be profound. If you would like to make and donate an apron then all you need is to get started and please email oohlalapin@gmail.com so I can register you and let you know how and when aprons will be collected. 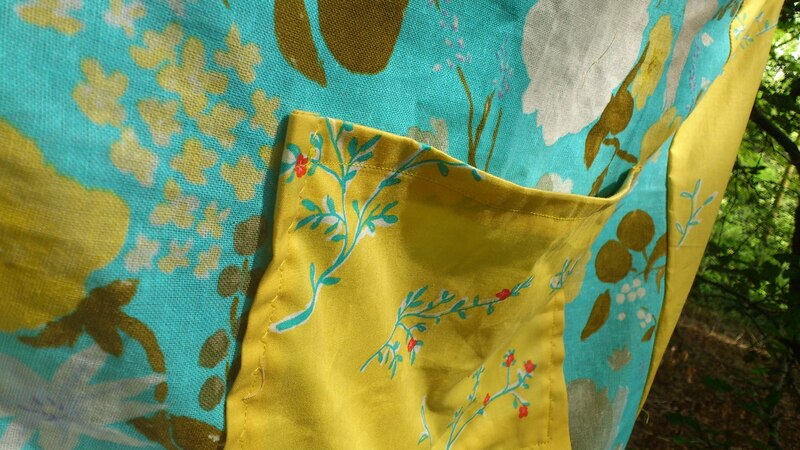 I have a handy patch apron tutorial in the sidebar if not there are plenty of hints, tips and patterns online. 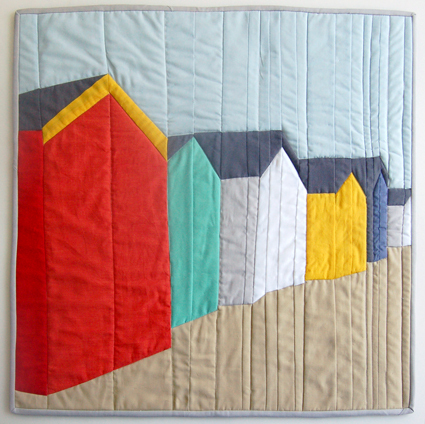 You will also have an opportunity to work on aprons at Tea and Cloth the monthly craft meeting in Portsmouth. Aprons are welcomed from all over the world just leave plenty of time for postage! Today my hubby decided to take some snaps of me and my works in progress. 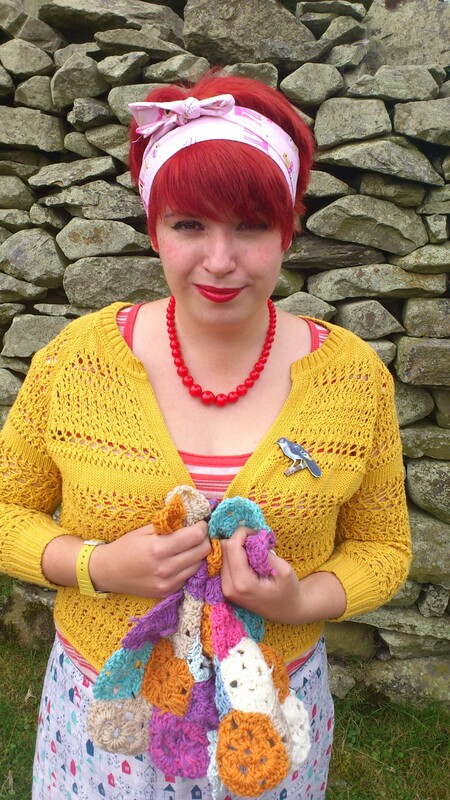 We had a big chat about Ooh la Lapin and what it means to me. It is my lifes work I suppose and I adore it, I am so pleased to be able to share it with you. 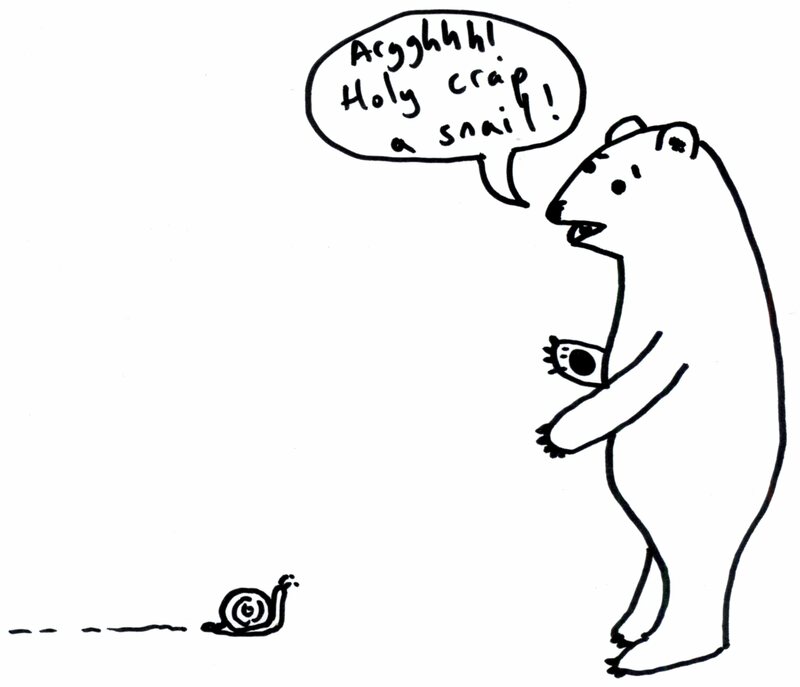 Its been so lovely spending this time away and has given me a chance to weigh up whats important. A few changes will be made upon returning home. The next challenge I have pitched myself is writing my own craft book, with lots of project ideas and how to’s. If I cant find a publisher I will just have to get them printed myself, as usual a good DIY attitude is needed! A great place to read about all the latest and greatest craft books is STC Craft it has excerpts and tutorials alike and behind the scenes of photos shoots. I’m a sewing enthusiast in Queens, New York, with a love of all things retro. This site is all about tutorials, tips, inspiration, and lots of spirited discussion about sewing as it relates to fashion history, pop culture, body image, and gender. Look for my first sewing book to come out Fall 2012 from STC Craft/Melanie Falick Books! 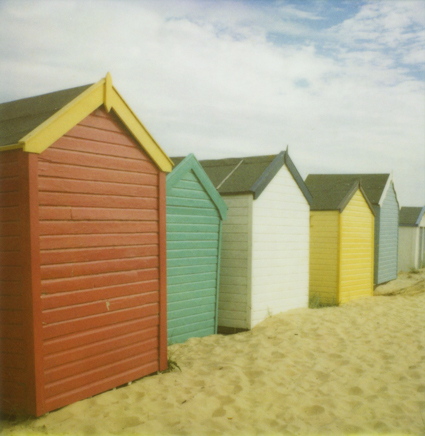 Check out Gerties very informative blog for better sewing. 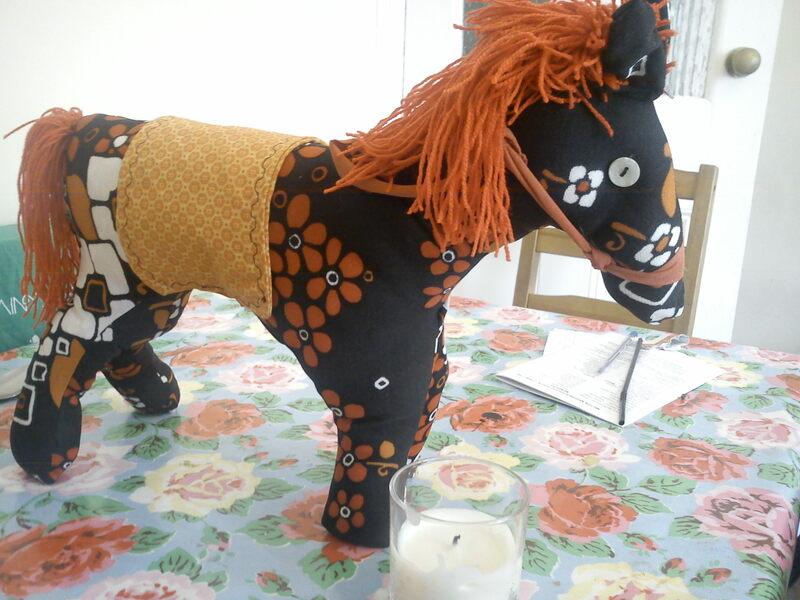 I designed the pattern for my 1970’s pony toy and would love to share it in a book filled with wonderful easy makes! minus size one for the girls! I was wondering if we should start calling conventional models ‘minus size’ models? Im always feeling under pressure to slim down, hmm I wonder why? I have always associated success and beauty with skinnyness. Sadly this led me to becoming anorexic as a teen, I recovered physically but mentally have been left deeply traumatised. I dont often blog about deeply personal issues but I must admit reading blog ‘chubby fashion‘ has been a revelation. I particularly love the pictures of the models featured it makes me feel so happy, hurrah! Also check out curve appeal it rocks. 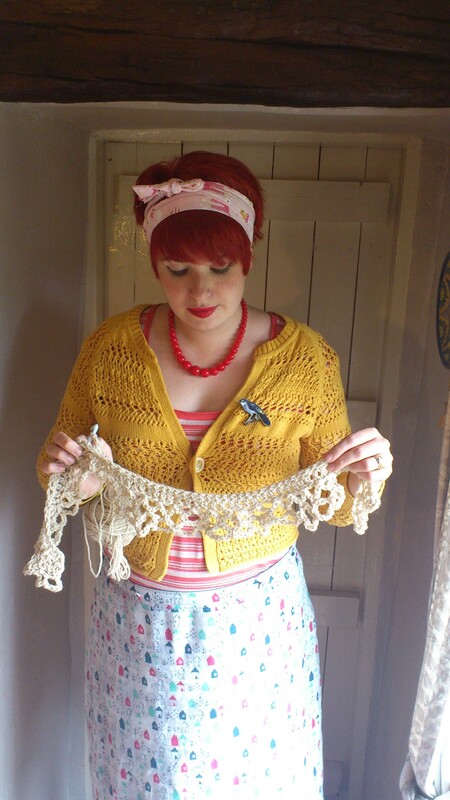 Vintage style suits all girls, the beautiful Elsa has an adorable blog Grandmothers Pearls. She is a vintage style model. Here is a recent photo my hubby took of me in the Tea Tray Garden a proud size 14/16. Im real, I dont eat junk food, never get take away (maybe the occasional sushi order), I cycle and go to the gym, but what can I say I love good wine, good food and good company. Amazing photo of a Polish model. Though strange that high fashion mags should use models like Tara when designers dont make any sample clothes big enough to fit her. It still smacks of ‘hey look at us we can have fat people in our magazine too, aren’t we nice’. Well until you start featuring real women du rigour I wont buy your magazines or your clothes. Hence why I taught myself to make clothes. 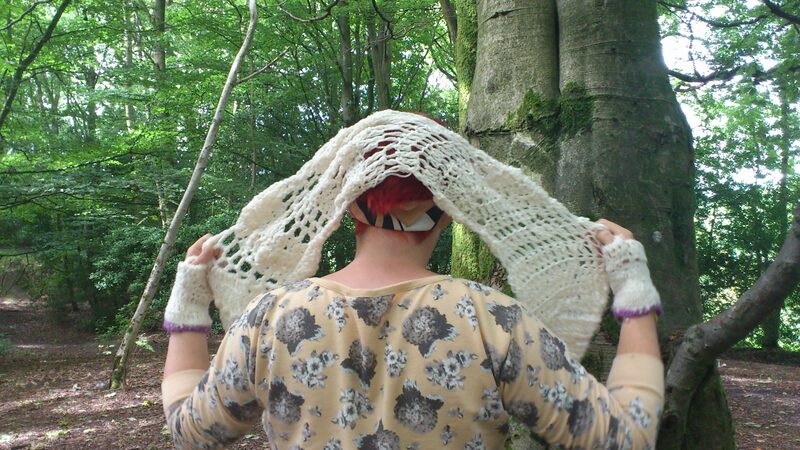 Today we took a walk in the woods next to the river and photographed some recent pieces. 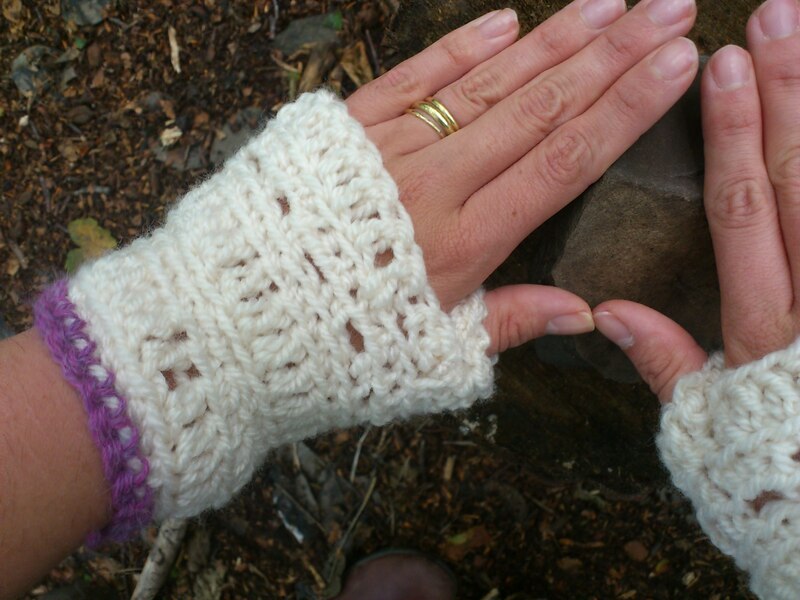 These will all soon be availible to buy, not until September/October though, I will be working on the crochet pattern for the fingerless mittens too.